Tracy McCormick-Dishman is an accomplished executive leader with a strong portfolio of marketing and business development successes. 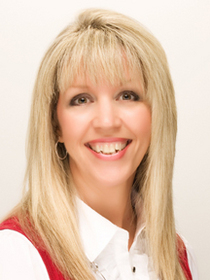 Tracy has twenty five years experience as a marketing and business development professional. She brings a passion for the profession which is evident in her efforts to continuously stay current with the ever-changing technology, trends, and skills needed. With degrees and experience in project management, graphic design, web site design and development, internet marketing, business development and social media, as well as an MBA specializing in marketing, her background is truly unique for understanding and addressing the needs of clients. Matching those client needs with successful multi-channel, integrated delivery systems is a skill that Dishman leverages. “Without some form of an integrated marketing communications plan, and coordinated efforts toward a common sales goal, hardly anything of value would exchange hands due to lack of awareness, conflicting agendas and distribution channel confusion”, says Dishman. Tracy Dishman is the former Director of Marketing for Alliance for Strategic Growth, Inc. and WorkOne Eastern Indiana. Under her leadership, the WorkOne Region 6 marketing department went from non-existent to becoming a formidable entity in the State of Indiana. During her tenure, Dishman is responsible for creating a regional marketing database, building the first statewide, enterprise-level website for Indiana for the WorkOne organization, and launching a statewide magazine and newspaper column through strategic alliances with nationally recognized newspaper companies. In addition, Dishman has become a nationwide expert when it comes to Social Media for non-profits. As a professional marketer and social media expert, Tracy proudly affirms having (and enjoying) a multitude of attributes, such as a sense of humor, creativity, doggedness, determination and unlimited energy which all are a part of her daily professional and personal lives. It is with this excitement and list of accomplishments, combined with an ever present desire to help companies succeed and grow by telling their story, Tracy left ASG/WorkOne to start a new company, McCormick-Dishman, LLC. Dishman is a direct marketer, which means that every program she produces will have measurable results. She believes that the Golden Rule, not pure technology, is the key to success. She is especially gifted at uncovering new opportunities by connecting companies and/or services that no one else may have ever thought to connect. Tracy resides in Muncie, Indiana with two of her three children: Alexis, and Zachary. Her oldest son, Michael, is proudly serving our country as a 13D Field Artillery Automated Tactical Data Systems Specialist in the U.S. Army. Dishman earned her B.F. A. in Graphic Design from Ball State University (Muncie, IN) and her MBA from Indiana Wesleyan University (Marion, IN). Competent in strategic analysis and due diligence. Brand building expertise managing across multiple mediums. Adept at creating and evaluating marketing and business plans with company financials. Strong quantitative background for decision analysis and consulting. Extensive business experience and amicable rapport for sales and presentations. Accomplished developing and coordinating sales and marketing content. Talented at coordinating web site development with sales and marketing opportunities. Astute at orchestrating designers, programmers and copywriters while setting realistic deadlines and managing client expectations. Skilled at delegating project assignments and supervising work quality. Experienced with developing Request For Proposals (RFP) and contractual agreements. Effective communication skills to foster client and employee involvement and enthusiasm. Developed a wide variety of profitable business web sites, from initial concept to launch. Achieved high user satisfaction and sales conversions with professional, intuitive web designs. Successfully performed as developer, copywriter, and programmer. Fluency with on-line content development and digital imaging, especially Photoshop. Well-versed in technical and production issues with design, information architecture and usability. Managed the development and implementation of several database and e-commerce applications. Proficient at identifying valuable keywords and attaining high search engine optimization rankings. Successful maximizing pay-per-click campaigns and search engine advertising ROI. Adept with newsletter development, affiliate sponsorships and co-branding initiatives. Skilled at link development, banner advertisements and directory listings. Proficiency integrating new media promotion opportunities with traditional marketing such as print, direct mail and advertising. Social and New Media, Social Media, email marketing, online advertising, Facebook, Twitter, social marketing, social shopping, ecommerce, authenticity, transparency, online community and about 1000 other new terms identifying Internet tools, services, concepts and strategies have been introduced to businesses in the past three years. To say the least, it’s been hard for companies to keep abreast of these changes! This new language along with a powerful trend by consumers to shop, entertain, communicate, network and even date online has pushed savvy businesses to find someone within their organization to take the lead and find out how Social/New Media impacts their Strategic Plan. As a professional marketer, I proudly affirm having (and enjoying) all of the above attributes which all are a part of my daily professional journey. Tracy Dishman was a weekly columnist for 8 newspapers in Economic Growth Region 6 of the State of Indiana. She focused on topics for the job seeker, the employer, youth initiatives and entrepreneurship as they relate to workforce development in the communities within Region 6 and Statewide.